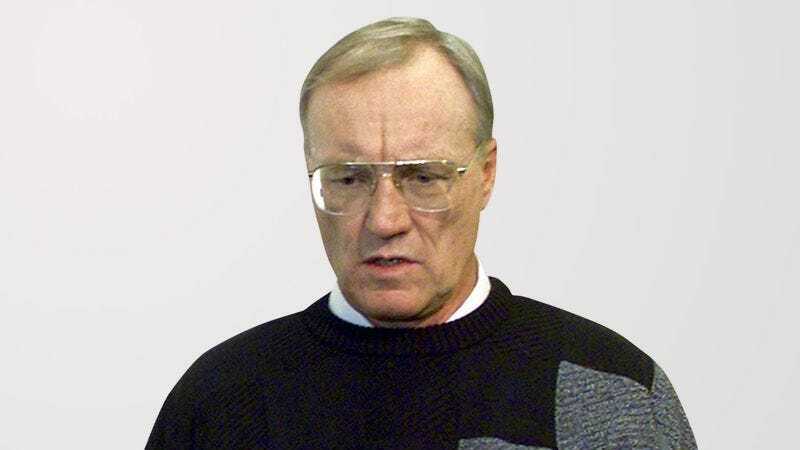 TAMPA, FL—The search for a new Buccaneers head coach has continued in Tampa Bay, where last week team management flew in Marty Schottenheimer, former NFL coach and current head of UFL’s Virginia Destroyers, to discuss how utterly terrible he would be in the position. “We were fascinated by Marty’s embarrassingly dated offensive philosophies, his inability to make defensive adjustments that optimize his on-field personnel, and his tendency to lose his cool in pressure-filled game situations,” said Bucs co-chairman Joel Glazer, adding that Schottenheimer has proven he has what it takes to win in the NFL “unless it’s an important game,” and furthermore would have “absolutely no idea” what to do with promising young quarterback Josh Freeman. “Plus, he’d probably bring in his idiot son Brian to coach the offense, completing a totally dismal package.” Sources close to the Buccaneers said the meeting “went very well” and Schottenheimer is now the leading candidate to take over the team.